This page explains each of the characteristics of good writing and has good activities for working on each one. 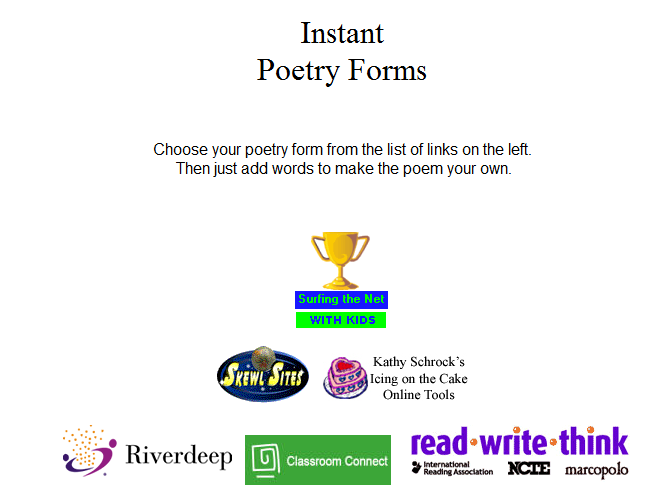 You can choose from holiday poems, color poems, haiku and many more. A site that can help you to identify nouns vs. verbs. It's pretty fun. 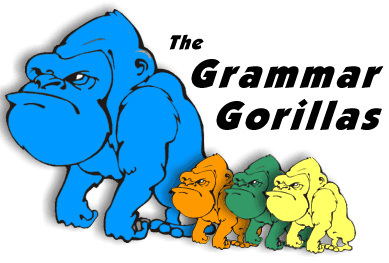 Also see "Grammar Ninjas." Go here to learn how to type correctly and in a fun way. There are songs and little animals to help you learn. Enjoy!